I am somewhere eating noodles. Tom Yum noodles. And it is absolutely fabulous! I am outside an industrial area at one of my friend’s favorite noodle places. and I am loving it. I can’t tell you where it is, except it’s outside of Bangkok at Laem Chabaeng. I can’t tell you what to call it except Tom Yum Noodles. But my stomach is happy!!! 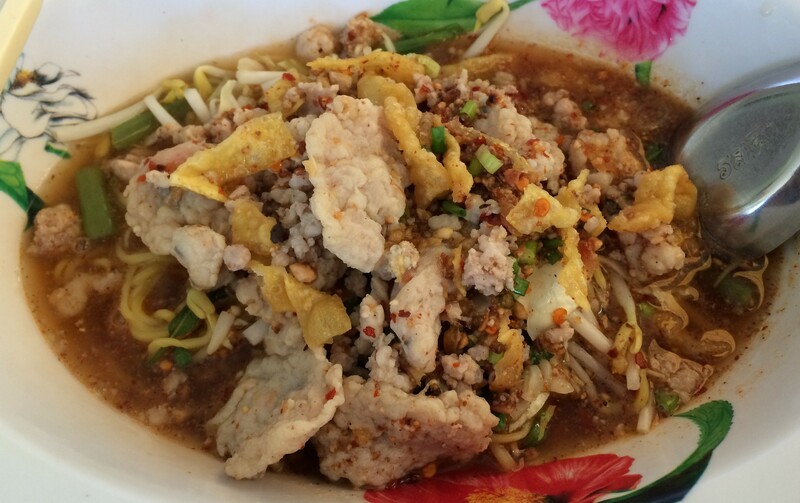 Posted in Bangkok, ThaiTagged Thailand, Tom Yum NoodlesBookmark the permalink.